IKATEK 1946. 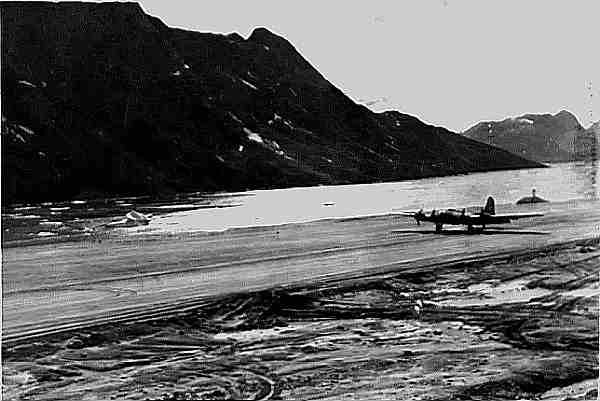 Bringing aircraft to safe landings on the short gravel strip at BE-2 was perilous with mountains close by and buffeting winds funneling down the fjord. 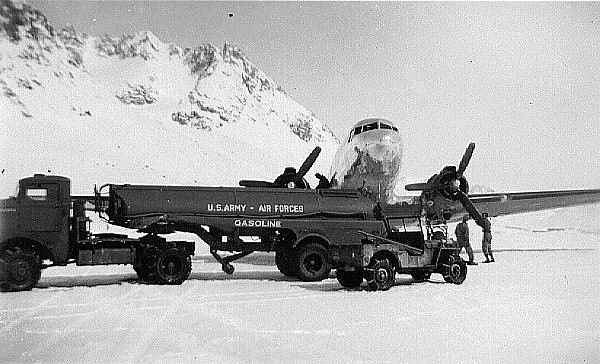 C-47 REFUELING AT IKATEK.Lightly clothed ground crew refueling C-47 at Ikateq (BE-2) denotes a pleasant Greenland day despite jeep equipped with snow chains. ARMY POST OFFICE. Some WWII GI's were unaware of BE-2's relative location. Envelopes stamped "APO 679" are rare collector's items valued at $50.00 each. 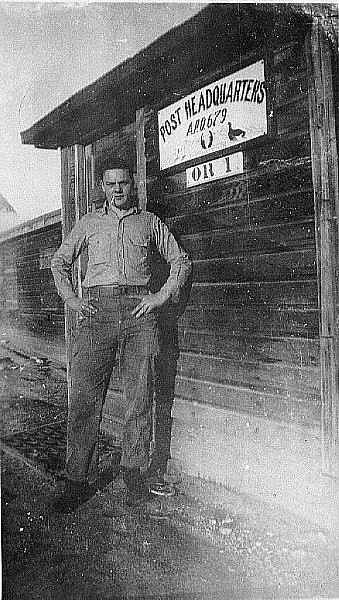 Post-war mail was relayed via the BW-1 post office.